Acer certainly did unveil a whole collection of things last evening and the last but definitely not the least of the batch is this 27” WQHD touch display, the T272HUL. With a resolution of 2,560 x 1,440, the LED display has four times the resolution of HD displays and coupled with a wide viewing angle of 178-degrees, users can easily share what’s on the screen with others. The T272HUL features edge-to-edge display on a stylish asymmetric stand, giving it a futuristic look that fits perfectly into any space. 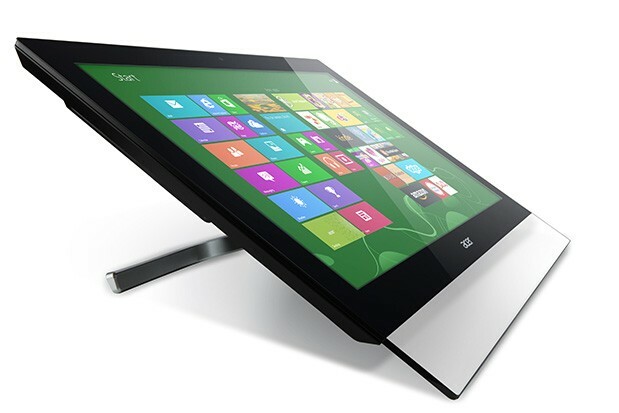 It has a tilt angle of up to 60-degrees that ensures a more comfortable touch experience. The screen has 10-point multi-touch technology, allowing several users have a collaborative touch experience. Specs wise, the LED monitor comes with both dual-link DVI, DisplayPort 1.2 and HDMI 1.4 to provide advanced digital connectivity and enable outstanding high-definition viewing and quality audio. To complement the high-definition visuals, it is also built with two 2-watts speakers for high-quality audio playback. Other specs include 3 USB 3.0 ports, 1 of which can be used to fast charge devices.